If you’re Beyoncé, you can’t show up to every awards show in which you’re nominated — do you know how many frequent flyer miles she would accrue if she did? Beyoncé probably gets offers and nominations for awards and the like everyday, and she’d never get anything done if she attended everything. I’m tired just thinking about her schedule. That being said, will Beyoncé be at the 2016 MTV Europe Music Awards when they air from Rotterdam, the Netherlands, on Nov. 6? Though neither she or MTV has confirmed an appearance, one thing that makes it possible is the fact that Beyoncé and Justin Bieber (even though he’s a commoner compared to Queen Bey) lead the nominations pack — Beyoncé is nominated for Best Video (for “Formation”), Best Female Artist, Best Live Performer, Biggest Fans, Best US Act, and Best Look. What could she bring home? Well, really any of those categories. 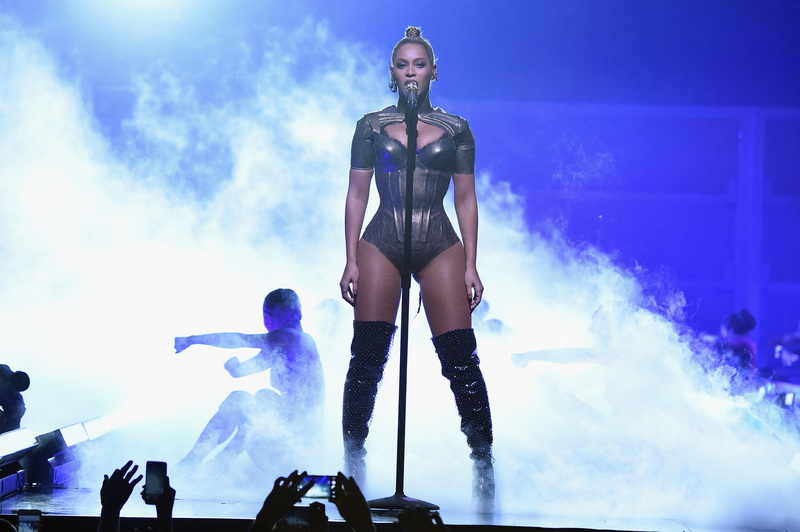 Beyoncé is no stranger to winning big awards at the MTV Europe Music Awards. In 2003, she won for Best Song and Best R&B; in 2008, she won Best Female Artist; and in 2009, she swept with Best Song, Best Video, and Best Female Artist. In 2013, Beyoncé was named Best Live Act, and in 2014, she took home an EMA for Best Song With A Message. And let’s not forget her many, many nominations, as well. To be honest, I’d be really surprised if Beyoncé didn’t show up to the 2016 EMAs to collect her awards. She has a long history with MTV awards shows. Don’t believe me? She was awarded the Video Vanguard Award at the 2014 VMAs, and announced her pregnancy at the 2011 VMAs, which set a world record for the most tweets per second — 8,868, according to MTVEMA.com. MTV loves Beyoncé, and it seems like Beyoncé loves MTV. She is also not currently on tour — her Formation tour wrapped up Oct. 7 at Metlife Stadium — and as far as the public knows, she is not currently recording an album. (Not that we’d have any idea if she was.) Bottom line? It seems like Beyoncé has nowhere else to be on Nov. 6, at least in terms of public appearances. Also worth noting is that Beyoncé, as we all know by now, loves a surprise appearance. She has dropped whole albums in the dead of the night without warning, and she just wrapped up a very secret performance with the Dixie Chicks at the 2016 Country Music Association Awards. Beyoncé is a big fan of the pop-in, and I think it's likely that she’ll make an appearance at the EMAs. Not a fan of Beyoncé? (Why are we friends?) Other nominees for the night include Adele, the Weeknd, Bebe Rexha, Alessia Cara, Coldplay, Charlie Puth, Calvin Harris, Ellie Goulding, Halsey, Shawn Mendes, the 1975, G-Eazy, Justin Bieber, Metallica, Rihanna, the Chainsmokers, and Lukas Graham. Performers include Kings of Leon, Green Day, Bruno Mars, Zara Larsson and more. The 2016 Europe Music Awards are shaping up to be the can’t-miss show of the year for MTV, so Beyoncé or not, tuning in when they air on Sunday Nov. 6 at 8 p.m. is a good idea.